ClearCorrect Aligners Sydney: Clear Aligners Sydney, Stanhope gardens. 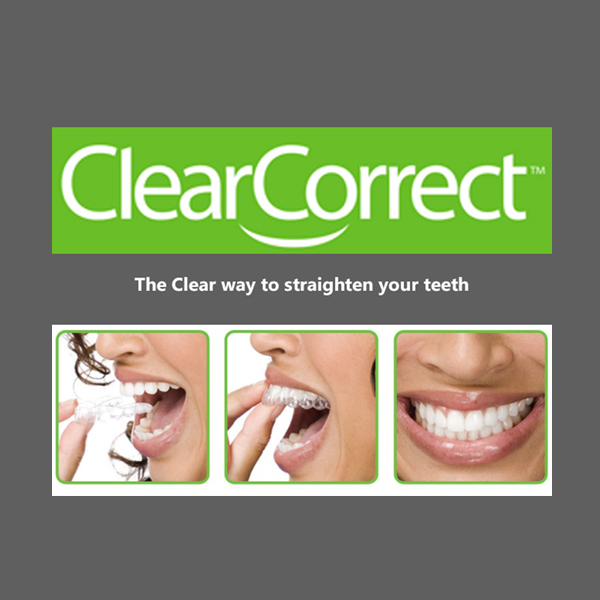 ClearCorrect Aligners Sydney: Clear Aligners Sydney, Stanhope gardens. Have you always wanted straighter teeth but dreaded the use of bulky appliances such as metal braces? Teeth are sometimes in an irregular position since their outgrowth and sometimes they move later in life. With clear aligners we can treat various orthodontic irregularities and archive a beautiful smile without the discomfort from having metal on your teeth. The cost of ClearCorrect Treatment is typically much less expensive than traditional braces or invisible braces with which treatment times are also typically longer. Following your free consultation you will be given an exact indication of costs and treatment time. It is usually priced from $3000 per arch. Our dentists will then take photos, X-Rays and impressions / scans of your teeth and decide which tooth movements you will need to achieve your ideal smile. Once a 3D model of your current smile and your ideal smile has been created, a series of clear plastic aligners are made to custom fit you. Each set of aligner will apply targeted pressure to selected teeth.